Update: Hwy 97 is open. Police say at approximately 7:25 AM, Dawson Creek RCMP and Emergency Services were called to the scene of a fatal collision involving a pedestrian on Highway 97 and 275 Road near Groundbirch. Upon arrival, it was determined that a male pedestrian in his 60’s was struck by a pickup truck and was pronounced deceased. The driver of the pickup truck remained on scene and is cooperating with investigators. Highway 97 is currently closed in the area of the collision and will remain so until investigators have completed the scene examination. There is a detour in place and police ask that motorists obey the direction of traffic control personnel near the scene. DriveBC estimates the highway could reopen around 5 pm. 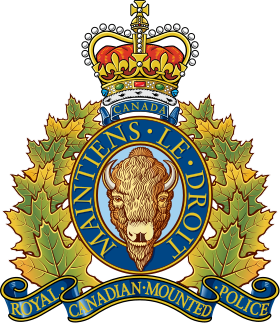 The Dawson Creek RCMP, North Peace Regional Traffic Services (FSJ), North District Collision Analysis and Reconstruction Service and the BC Coroners’ Service continue to investigate this collision. At this time, the cause is undetermined. Anyone with information regarding this incident is asked to call North Peace Regional Traffic Services in Fort St. John at 250-787-8140.